When I stepped onto campus to begin a new journey as a Graduate student at Chapman University, I quickly came across an advertisement for “Mindfulness”. 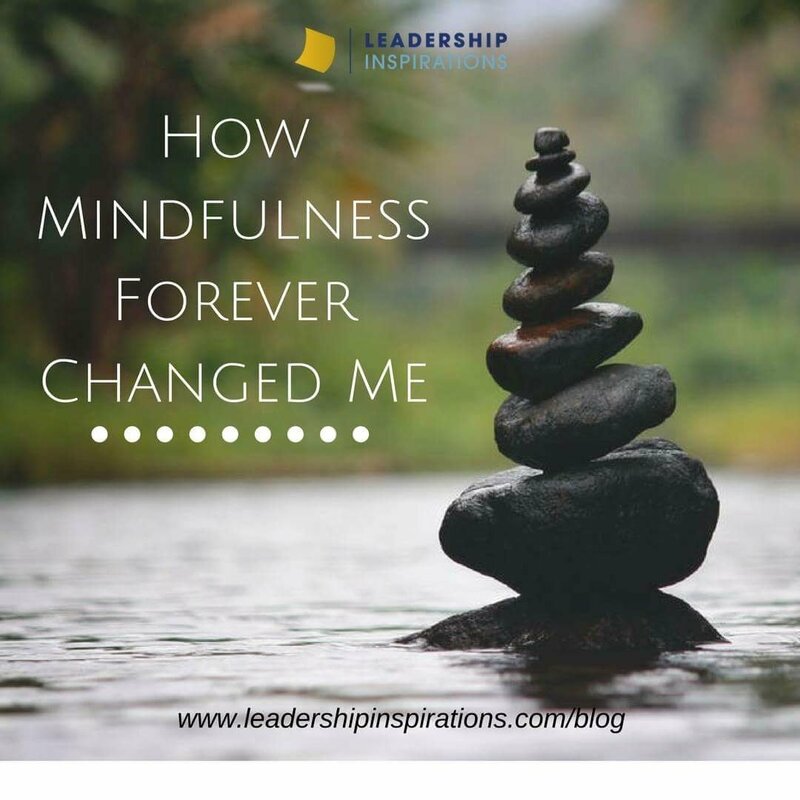 At the time, I had no idea what mindfulness entailed, yet my curiosity pushed me to find out. Eager to try something new, I examined the map on campus trying to locate the Interfaith Center. With little luck, I searched for someone to help and by the time I reached the Zen-like place, the facilitator, Dr. Gail Stearns, was already welcoming everyone in a soft spoken, calm manner. Thinking back now, I find it so interesting that this was my first learning experience on campus and set the tone for all that was to come! Dr. Stearns began describing mindfulness as being present, aware, and alive. These words echoed throughout my body providing different sensations along each nerve ending. Her presence was mesmerizing while her words were inspiring. She stated, “Imagine living a life where we are fully present, with intention, with curiosity, and without judgment. What would it be like if we could approach both ourselves and others in this way?” Hearing these statements inspired profound reflection about the possibilities. I was intrigued, and then what she said next really hit home: “Begin with breath because breath is always available. All we have to do is stop, be present, take a breath and it anchors us in this moment.” Immediately I started focusing on my breath and quickly noticed a new sense of calmness. I couldn’t believe that in a room full of strangers, here I was with my eyes closed, feeling completely calm and comfortable. This was something I didn’t often experience. As a kinesthetic learner, this has always been easier said than done. It takes a lot for me to focus. I tend to drift off during a lecture, I have trouble sitting still, and my energetic self wants to move around and learn on the go. Even then, as I tried to remain controlled and focused on Gail’s suggestions, I had do everything in my power to focus on my breath and not let my thoughts take over. I started by visualizing a picture of each digit counting from 1 to 5 in my head after each exhale. Then Gail said, “When a thought enters your head, congratulate yourself because you are now aware.” When this happened, I was allowed to acknowledge that I was thinking about what I wanted for lunch and quickly get back to the meditation. In other words, she already had me practicing mindfulness! I was able to focus my attention on that very moment and this revelation forever changed me. Since that day, practicing mindfulness in all my actions has considerably increased my awareness and emotional intelligence. I now pay more attention to all my surroundings, whether that’s my own body language or even leaves on the ground. Most importantly, I have been able to recognize my emotions and control them before they begin to control me. This breakthrough brought a whole new light to my life, changing my perceptions and providing me a new way to learn and focus. Who knew that only one day in grad school would teach me how to do this. Thank you Dr. Stearns for such an impactful first experience at Chapman University! Studies that show that if we take five breaths in a row with awareness and intention, and without judgment, it signals to our body and mind that there is nothing to be afraid of and that we are in a safe place. Intentionally choose two times during your day to practice this. Start out easy, maybe at the beginning and end of your day, when you can be alone and uninterrupted. Continue to build up to the challenge of practicing this in times of conflict, frustration, stress or anytime you most need it. My name is Nick Irwin and I am an avid cyclist. In fact, I just finished my first cycling event, which was a whopping 66 miles! I climbed 6,200 feet up the Glendora Mountain Range to Mt. Baldy. Surprisingly, mindfulness, along with deep breaths, kept me engaged the entire time.